You know what cheers me up the most after I get back home after work? Nope, not my family (SORRY MUM). Not my dog/cat. It is seeing that parcel of that I ordered online delivered on my doorstep! 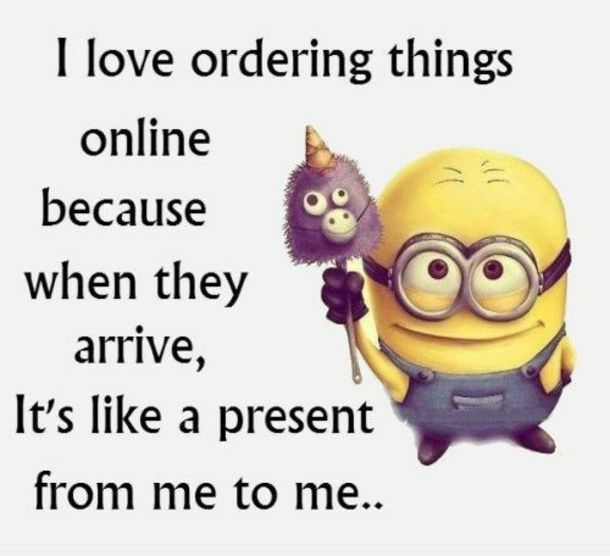 "Exactly how I look when I receive my parcels"
Yes, shopping online is very therapeutic. In fact, I seldom do my shopping outside anymore, and now with Redmart, I think there is no need for me to step out of my house forever. Seriously. Redmart, one of the merchants in Shopback, is an online grocery shopping store that sells a myriad of fresh produces, beauty products and snacks. I was genuinely surprised by the amount of groceries that Redmart carries - the selections were so much more extensive than the minimart near my house! As my snacks were running low, I decided to restock my food pile with Redmart. I was expecting the prices to be higher on the online site. One of the must-have snacks in my food cupboard is the classic Calbee Hot and Spicy potato chips. There is something about the seasoning flavour that makes it so addictive! And guess what? 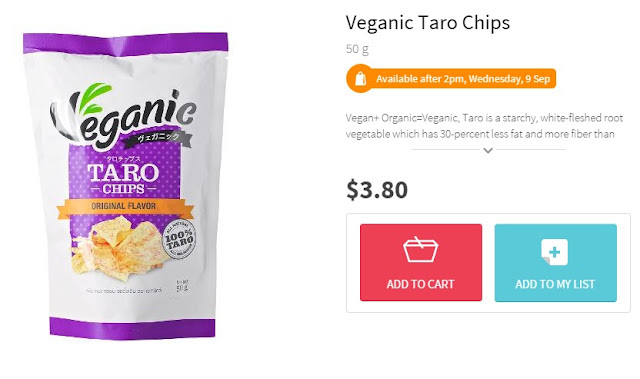 It's $1.50 on Redmart, which is the SAME PRICE I pay for a packet at mini marts! In fact, I have seen it sold for $1.60 to even $1.80 at some other places! 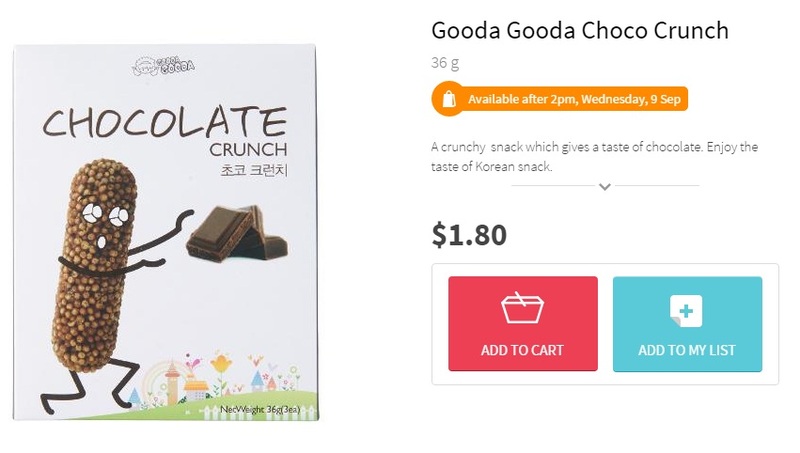 Besides this, they also have snacks that are less often seen, like this cute Gooda Gooda Choco Crunch from Korea! I would totally pay $1.80 for that packaging alone, SO CUTE LA. Vegan + Organic + 30% less fat = BUY. The selection of snacks alone was almost endless! If you are interested in browsing through the list, you can check it out here. So, when does Shopback come into play? I don't need to say "excuse me" at those tight aisles with my huge shopping trolley. I don't need to lug all the items home. Those days of hanging heavy plastic bags on my arm, and having those ugly red marks when I finally reached home is over. Most importantly, I am able to save a substantial amount of money on my grocery shopping. 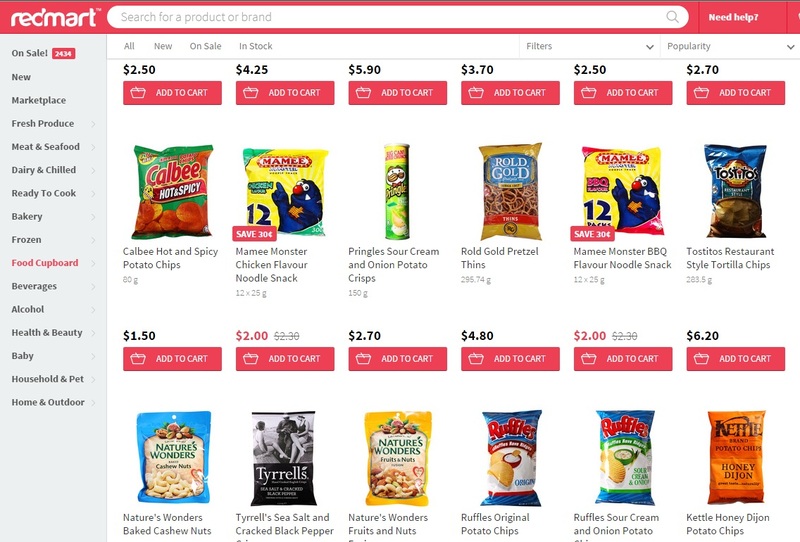 Besides Redmart, Shopback also has various other merchants which can offer you Cashback when you shop via their platform. And one of which is GroupOn! YES! On top of the wonderful discounts you can get from GroupOn itself, you will be able to enjoy Cashbacks on top of that! Why did I not know about Shopback earlier?!? There will be a BIG sale happening on the 9/9/2015 on Shopback. Called the 99 Online Sale, there will be EXCLUSIVE SALES from 9 top online stores and Shopback promises that there will be BIGGER cashback for these 24 hours ONLY. Mark your calendar and save this link https://www.shopback.sg/99 on your bookmark. You would not want to miss this sale! Create an account at Shopback first. Browse through their merchants and their product offerings. Make the judgement yourself, because I am not kidding when I say you can potentially save SO MUCH MONEY by shopping via Shopback. Not to mention, the joy of receiving the present from me to me.